They're here! All the Holiday B&G sets and where to find them. 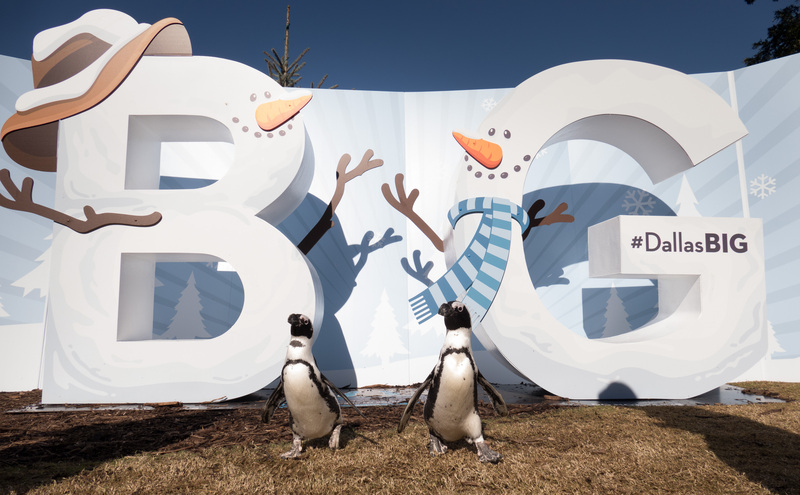 Update your #DallasBIG photo with the latest sets. 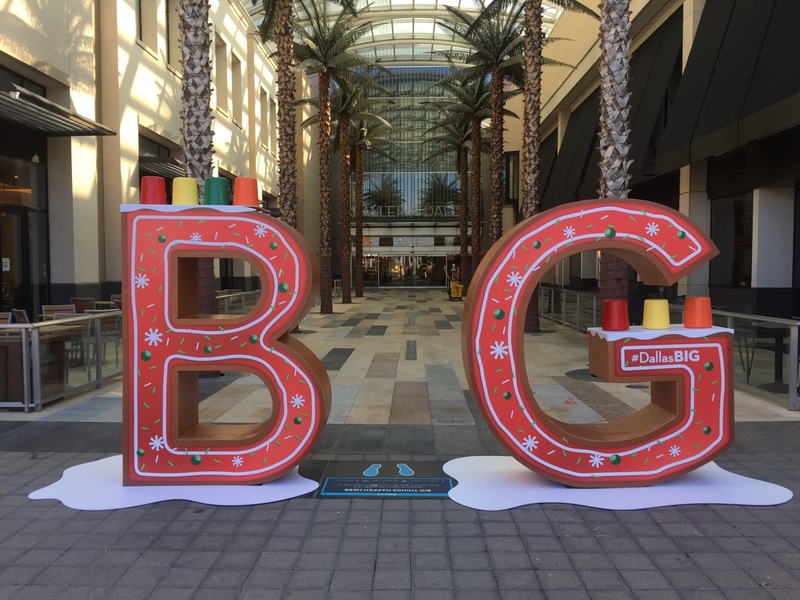 Do the holidays BIG this year with fun photos with the new B&G sets! Here's where to find them. Brownie points for the first person that can find them all! You'll find the snowman set outside of the hotel near the lighted Pegasus, a major Dallas icon, so it's really two photo ops in one. Who can stay away? What's not to love with the candy cane set? Head to the green space in the middle of Downtown for a bit of red and white with the candy cane set. Take a break from exploring Downtown for a little glitz! Stop at Pegasus Plaza, right off Main Street, to take a group photo in the gold glitter set. What's the holiday season without some oversized ornaments? 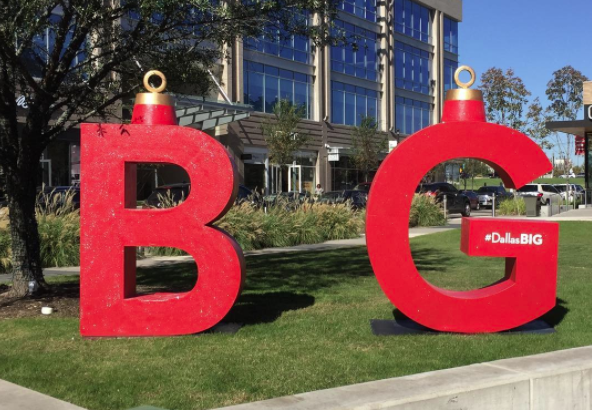 Head to Belo Garden, just walking distance from the Omni Hotel, for a glimpse at the green ornament set. The fountains in front of City Hall are reason enough to check out the large plaza and the gift wrap set, made to look like a present, is just the cherry on top. A shopping trip in Dallas isn't complete without a trip to the Galleria. Make time for a loop around the ice skating rink and check out the indoor Christmas tree, the largest on its kind. Another ornament set, only this time in red! Find the B&G set after your marathon shopping session. J. Crew Mercantile, Bloomingdale's Outlet and Nordstrom Rack are just a few places to check out. Get into the winter spirit with a spotting of the snowman B&G set and the gift wrap in the beautiful gardens at the Dallas Arboretum. Look no further – here's everything you need to know about showing your holiday visitors the #besttimeever. It's the place to be for the finest shopping, philanthropy, and fun kid activities. Make a visit to Dallas' most iconic building a part of your holiday plans.